Wales is a nation of talented and inspiring businesses and we want to showcase them here in Wales and further afield. We want to show the diverse talents, products and services Wales has to offer and want to share those stories and celebrate this. We want to give businesses in Wales a platform to showcase their products, services and talents. Since 2016, on a voluntarily basis Digital Marketing and PR Strategist, Director, mum to 3 (soon to be 4) and Big Ideas Wales role model Michelle Beer of Ferrycake Marketing & PR has supported over 700 small businesses in Wales to raise their profile on Twitter and social media. 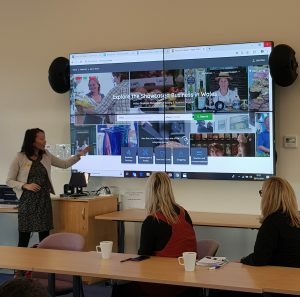 She created the Shout Out Wales profile on Twitter after meeting hundreds of small businesses in Carmarthenshire and Swansea area who could not afford to pay for marketing expertise; which they very much needed. In July 2018, wanting to support the hundreds of businesses she was meeting further, made the decision to take some time away from her own business Ferrycake Consultancy to dedicate and commit time and expertise to develop Shout Out Wales from just being on Twitter (by this time had organically grown to over 10,900 followers – predominately businesses and people in Wales) to become an online business showcase directory with increased social media channels (Instagram, Facebook, LinkedIn, Pinterest, YouTube and others). 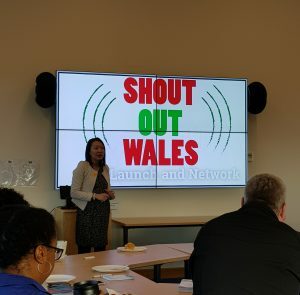 Shout Out Wales is a privately funded project by Michelle, to not only support market and promote small business in Wales but to also support in developing young people’s work and digital skills and to offer paid job opportunities in the local areas. 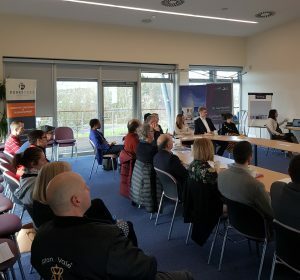 In October 2018, four young people were offered flexible part time job opportunities, with several other flexible opportunities provided to people of all ages who wanted to be part of the project and to develop their digital skills. Ferrycake launched the new website on January 28th 2019, whilst Twitter had an active following of over 10,900 followers. Instagram gained over 1,600 targeted followers in just a couple of months and before the online website was launched. The social media platforms are very active with quality following and regular engagement with the local businesses.